Connect with your audience, increase revenue, measure results, grow your business. We combine web design and development, social media, search engine optimization, & online advertising, into measurable campaigns to help you meaningfully connect with your audience & effectively grow your business. We weave together every online space your business needs and effectively engage your audience - generating powerful and measurable results. We can help you strengthen your brand online to generate the most effective results - again and again and again. Every business is unique and has a different target audience. Choosing the appropriate social media platforms to market your business is just as important as the strategy implemented. The right platform paired with the right strategy will deliver results! A functional, mobile-friendly website is a necessity today. Imagine a website that not only works flawlessly on any device, but also is easy to update with a simple user interface tailored to your business' needs. Let's break traditions when it comes to your marketing spend. Online paid advertising provides you with unmatched analytics to measure your ROI and the ability to modify at anytime during the campaign to get the most out of what you spend. Say "bye-bye" to traditional advertising! Your target audience is searching online and you want to be found. 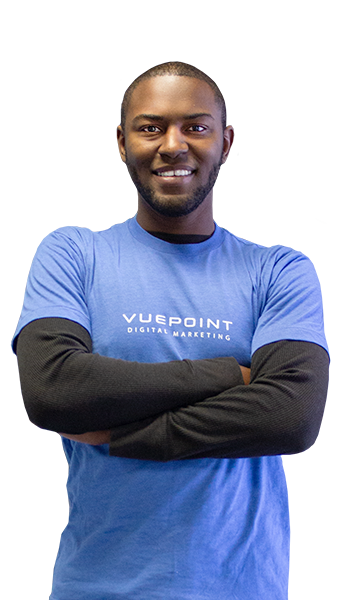 Vuepoint is the perfect matchmaker using technology to strategically bring the quality traffic you’ve been looking for. Walk through our doors and you'll find a fast paced, highly energized group of individuals who are dedicated, light-hearted, and always results driven. 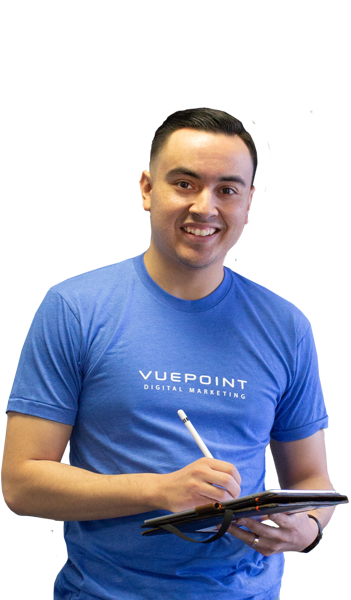 John is our Digital Strategist! He maneuvers Google Adwords like a game of chess, always keeping your brand one step ahead. 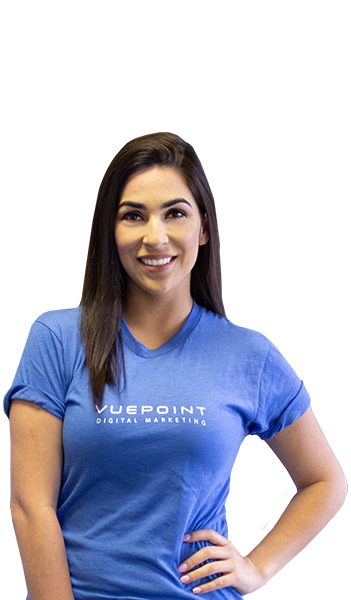 A true Digital Media Designer and Tech Queen, Mashell keeps Vuepoint and our clients up-to-date with the constantly changing world of search, social media, and digital marketing when launching new projects and campaigns. 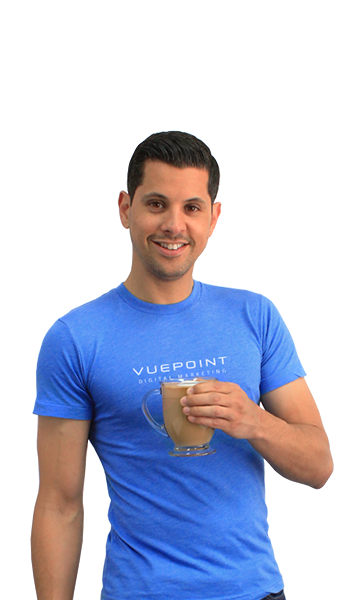 Scott keeps Vuepoint running efficiently and at top speed by organizing the day-to-day tasks. He's communicating with clients to ensure every project gets delivered on time and with a smile! 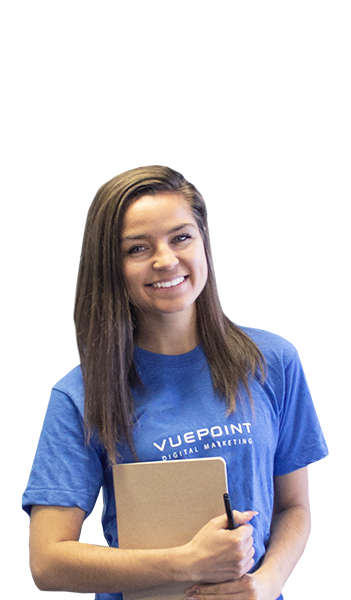 Shelby is our social media manager and copywriter. She combines her passion for writing and her social media skills to help build your brand's voice, and communicate your message across all platforms. Stetson is our front-end developer and web designer. 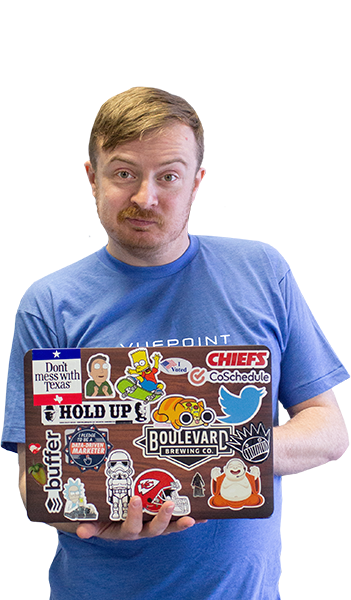 He knows Wordpress, HTML and CSS like the back of his hand so that he can keep pumping out custom web solutions for our clients! 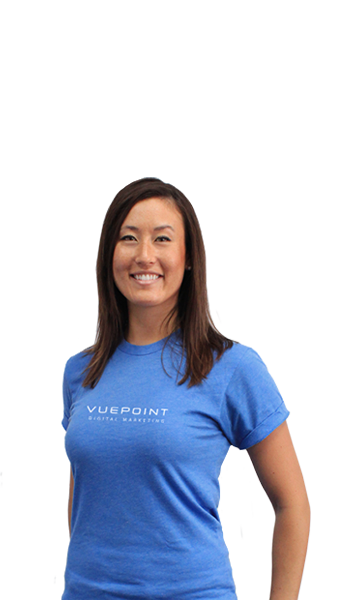 Christina uses her bilingual talent and eye for strategy to manage our Spanish speaking clients. She keeps everyone on the fast track to growth. Always on the lookout for meaningful, long-term relationships, growth opportunities and amazing results for clients. A constant ideating and strategy producing machine, he creates unique campaigns by learning about our clients’ audience. Chat with our team and you'll quickly discover our passion for using digital marketing to connect audiences with brands, and of course, our love for great tasting coffee!